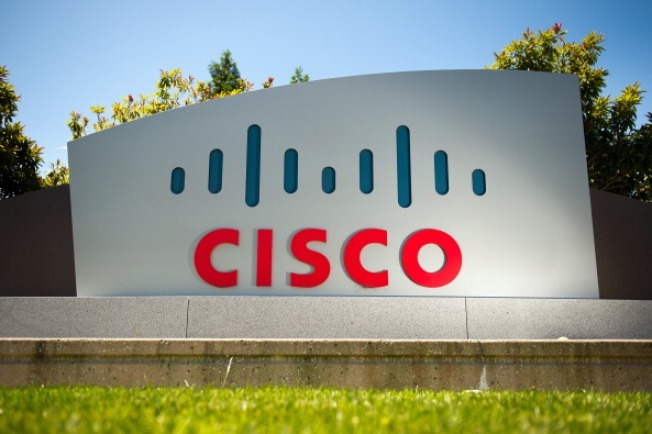 Cisco Systems Inc. signage is displayed outside of the company's headquarters in San Jose, California, U.S.
Cisco says it will lay off up to 6,000 workers, or 8 percent of its workforce, as part of a restructuring. The company, which makes routers, switches and software, made the announcement during a conference call discussing its fiscal fourth-quarter earnings. The San Jose, California-based company reported a 1 percent decline in profit, to $2.25 billion, for the latest quarter. The company estimates pretax charges of up to $700 million, with about $250 to $350 million recorded in the current quarter, for the restructuring. Shares fell 28 cents, or 1.1 percent, to $24.92 in after-hours trading.